I love letter writing — I consider it my hobby! And what I especially love is that this hobby allows me to encourage children all over the world through Compassion. I believe that I can follow the Great Commission by coming alongside the churches that Compassion works with and encouraging the children I write to follow Jesus. This vision is what keeps me writing even when it is hard, and especially when I feel like I’m not connecting with a child. Letter writing is a way to come alongside and spiritually mentor a child! Letter writing also makes my Compassion sponsorship personal. When I consistently write to the children, I spend time thinking about them during the day and praying for each child by name. Sponsorship is no longer just a gift of my money, but of my time. But it does get hard sometimes. Here are some of the biggest frustrations that sponsors like me face, and the perspective I try to keep in mind as I persevere in writing. 1. The child I sponsor doesn’t answer my questions. When I’m writing letters, I do two things to help kids and their tutors notice my questions. I number each question, and I make sure to only ask a few questions in each letter. However, some kids seem to never answer my questions! When this happens, I try to keep in mind the local people building relationships with the children. I love how Compassion gives us information about each center, along with letters from pastors and center directors. When I hear how these people are working with my child, it is so encouraging! I am reminded that even if I don’t hear it from the child I sponsor, there are tutors and church members pouring into my child’s life, and they know how the child is truly doing. I remember that I can support their work in the children’s lives through prayer! 2. I don’t like the templated form letters. Although form letters may feel impersonal, I have a new respect for them since working on letter writing with my own kids! My oldest kids (ages 7 and 5) look at a blank page and don’t know what to share. When they have a template in front of them, they enjoy the process much more! When a child writes using a template, I try to find tangible ways to connect with them. For example, if they shared that they have a brick house, I can comment that my house is brick too! Do they like going to the river to play? We live near a bayou and we like to play in the water too! I also have found that children really enjoy when I share what I’ve learned about his or her country or when I write about animals (and send coloring pages of the animals). Sometimes sparking a child’s interest helps the child share more! 3. The letters are impersonal. When I receive letters that seem impersonal, I try to remind myself that kids are all unique. Some kids like to write, and others would rather be running around outside. Some older kids may take time to build trust. They may have written and written, never receiving a response from a previous sponsor. So I try to be patient when a child doesn’t share personally. Some kids will open up over time, when you love them through letters. And for those who don’t open up, I try to faithfully remind them that they’re loved and supported through letters and prayer. Everyone needs the reminder that they’re created in God’s image and that they’re valuable. And we might be one of the few people sharing this message in our sponsored children’s lives. Our letters are making a difference — even when we don’t know it! 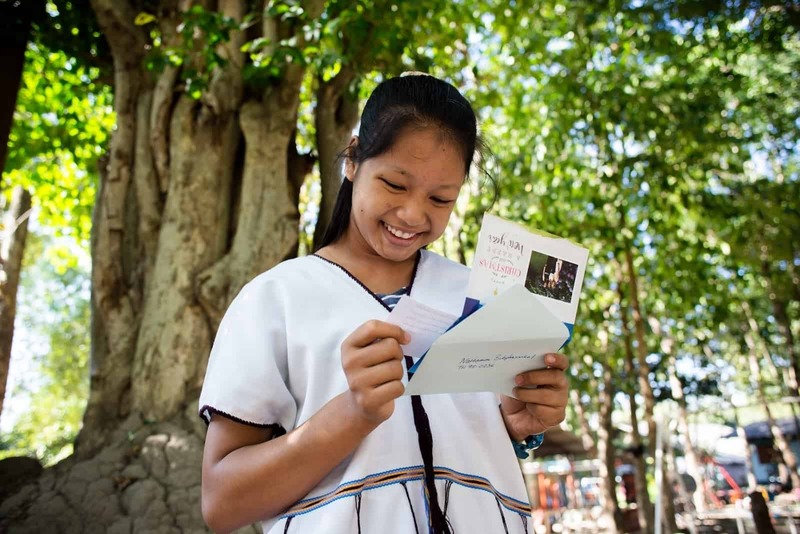 I have had the privilege of talking to some of our sponsored kids after they’ve completed Compassion’s program, and each one has commented about letters being an encouragement. I would like to share about Maria. When we sponsored Maria, I did not feel connected to her. Her letters were never personal, she seemed disinterested in the Compassion center, and she eventually dropped out of school and Compassion’s program at age 16. But a few years ago we reconnected. “I want you to know that I treasure your letters and your photos and that I always have you in my heart,” Maria shared with me. She said that God used the seeds planted through the center and through my letters, and when she was 18 she decided to dedicate her life to God! She graduated college and is now teaching second grade and Sunday school. I honestly had no idea that she even cared about my letters. I went through many times of discouragement while writing to Maria. I often felt that my words were unimportant. But looking back, I am so thankful that God encouraged me to keep writing. He used those words to reach Maria — and she is now reaching many more children in His name! This is what Compassion is about … releasing children from poverty in Jesus’ name. God did that for Maria. And I feel privileged to have played a part through letter writing. I know that God will use your letters in the life of your child, even when you are not yet able to see the results. Hannah is a mother to four, has been a faithful sponsor for 20 years and currently writes to 111 children. 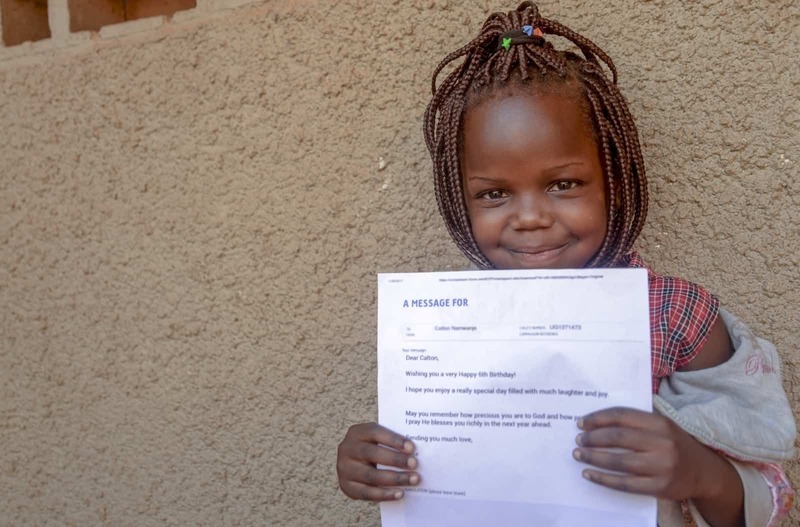 Do My Letters to the Child I Sponsor Actually Matter? I really appreciate the support that Compassion provides to the children, it’s a proof of Jesu’s love. I bless the name of God. If could join the team of International Compassion to participate in the battle against poverty I would be cheerful. My goal is to write personalized letters every other month to each child, and I respond to any letters the child has written. The nice thing is that I can use the duplicate tool online and don’t have to upload photos each time I write! But I’ll change the text when I’m personalizing letters. On the in-between months, I send stories about hymn writers, share about an animal or country, or send an update about my family. My goal is that each child receive at least one letter a month. Wonderful post Hannah! 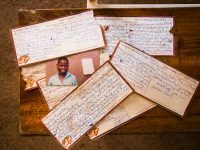 I love to remind sponsors that we have an opportunity to encourage the children we sponsor through the letters we write to them. 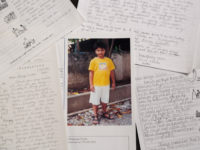 Yes, it would be wonderful if we could build an amazing letter writing relationship with every child that we sponsor, but sometimes that is just not possible. 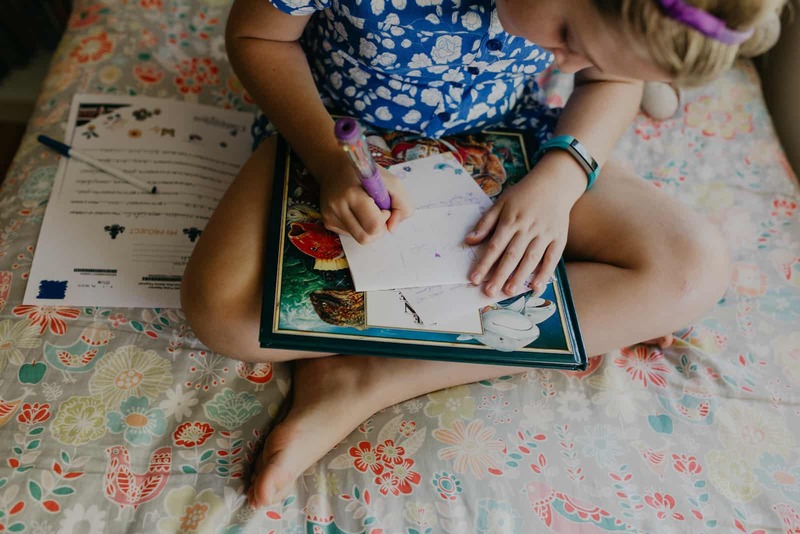 Some kids never have written letters before, some cultures and countries don’t put a big emphasis on letter writing, and for some kids, it is just not the way they express themselves. But never underestimate the power of our letters for the sponsored children. They treasure our letters and the way we encourage them. They save them and re-read them often. We have the opportunity in every letter that we write to tell them that God loves them and He has a plan for their life. The letter writing is for them, not for us. Hannah, what a wonderful blog post!! Thanks for the heads up you’d gotten to write a blog post. It’s so easy when the letters we get are less than we’d like to lose sight of the fact that God uses our letters to minister to these kids. It’s about them, not us. Thanks for the excellent reminder. Keep writing! Keep encouraging! Their lives and expectations are much different than ours, but we can help them to dream. Reach across the miles with a verse or sentence that will make a child smile. Thanks for this encouragement. It can be difficult to connect with some children, but that can be true with anyone. The letters we send are precious to not only the children themselves, but to their families as well. Thanks for the encouragement Hannah! I will keep that in mind as I write my next letter. I have to ask, how do you manage to write to 111 children?? Are these supplemental letters that you personalize for each child? I received the introduction letter. I have written several times and havent heard anything from the child aim sponsoring. I feel, I should at least hear from the sponsoring church as to her status and wellness. I understand a 5 year okd may not want to answer my questions, but, the sponsoring group there should provide an update!! Hello Larry! Thank you so much for writing to your child frequently :). I do want you to know that I see a letter from Rebeca that is currently going in translation. 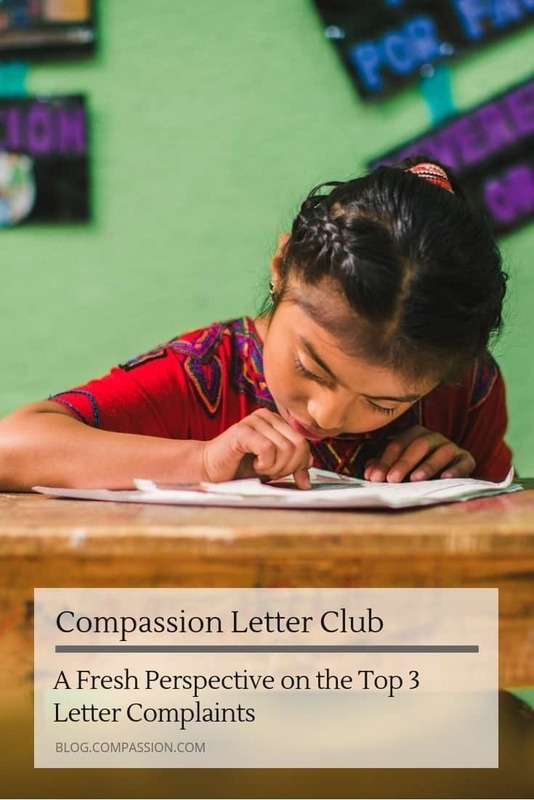 In Compassion’s program, the letters do serve as the most frequent update regarding the child as the child (and a tutor depending on the age) write these letters themselves at least twice per year and up to six times per year if the sponsor is writing frequently. It does take time to get your letters delivered to Rebeca. 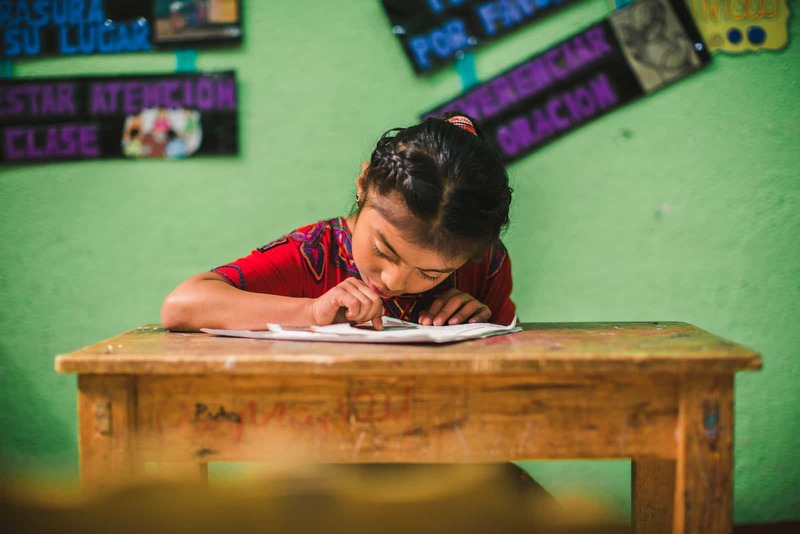 Once a letter arrives, Rebeca has 60 days to write her reciprocal letter to you and have it sent back to our national office in Mexico for processing. As I said, you do have another letter on the way from Rebeca right now, which should be placed on your account soon once it finishes processing.